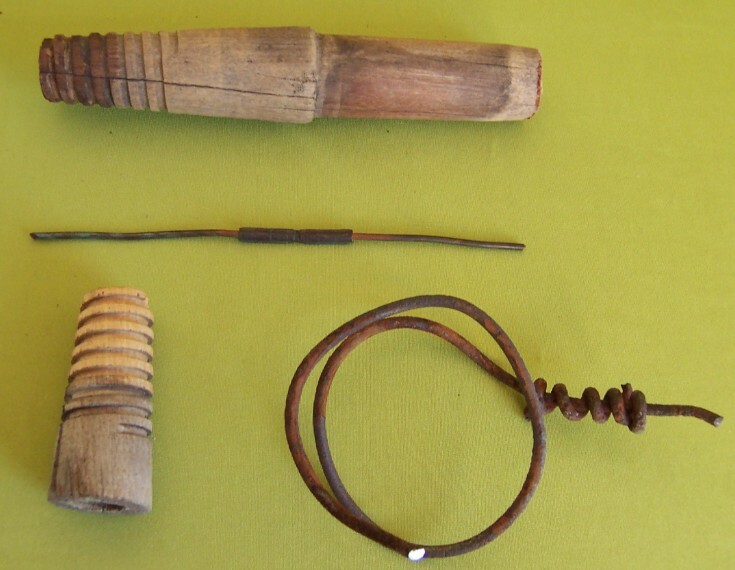 On top: wooden peg used in glass insulators and inserted directly into the wooden cross arms. Center: joint on copper wire using a pressed sleeve. Front row, left: another wooden peg in this case to be inserted into an iron bolt. Right: example of iron wire used on some telegraph lines.